Purpose: The aim of this study is to explore the knowledge management practices and indicate all their challenges and trends in the Middle East through the previous literature. Design/Methodology: The methodology used for this paper was structured by exploring an extensive literature of knowledge management practices and case studies from Middle Eastern countries. 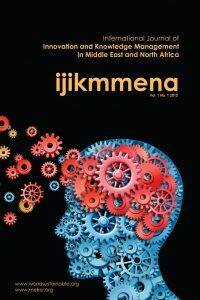 Findings: The study shows some improvements for the implementation of knowledge management strategies in Middle Eastern countries. It also shows a need to adopt sustainable development policies for the long term. Implications: The limitations of this paper have been framed within the reviewed and refereed articles. All implications will be directed to governments in the Middle East as a recommendation on the significance of sustainable development.